On December 15, founder of Galleon Group, 51-year old billionaire Raj Rajaratnam was indicted by the New York court for creating the largest insider trading scheme in history. He is suspected in obtaining at least $20 million in improper profits. 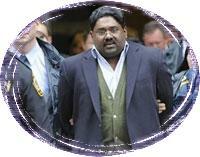 Rajaratnam is facing 145 years in prison. He is accused of applying fraudulent insider schemes using sources for non-public information. The complaint alleges that he have engaged in insider trading in shares of Intel, IBM, AMD, Hilton, and Google. According to American financial analysts, this is the largest insider trading scheme of the kind. Fourteen people were arrested in Galleon Group case. They include five high-ranking employees, Rajaratnam’s deputy, and a number of top managers from several world-famous companies. They were arrested back in October. According to the investigators, within the last three years alone they have obtained huge improper profits on a “mutually beneficial basis” using insider information. Rajaratnam is a Tamil born in Sri Lanka. His net worth is estimated at 1.3-1.5 billion dollars. He was ranked 236th richest American and 559th richest person in the world by Forbes. As for Galleon Group, the investigators assume that it had been using fraudulent schemes since the moment of its creation. The group had been obtaining insiders’ information from Intel since 1998. One of them, Roomy Khan, provided the “clients” “private and highly confidential” information that included internal reports, payment documents, price lists for future computer products, data on sales volumes in different markets, etc. According to American economic journals, Raj Rajaratnam’s Fund was engaged in aggressive investment in the American stock market. In the beginning, everyone was surprised that a newcomer was able to make hundreds of millions of dollars. For a long time he was considered a “visionary” who was able to foresee all market processes. He managed to increase Galleon’s assets up to seven billion dollars in 10 years. The financial crisis affected the company, and by March of 2009, capitalization decreased almost threefold, to 2.6 billion dollars. 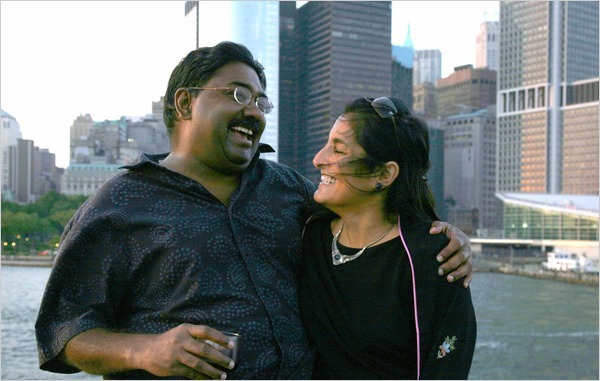 Rajaratnam came in sight of the US law enforcement agents in the end of 2007 when secret services received a tip from one of the former insiders. The investigators also revealed that he along with other wealthy Tamils has provided extensive financial support to a charity linked to the Tamil Tigers terror group . There is no information whether he will be charged with aiding terrorism. Court-authorized wire taps helped to unmask the criminal activity. This is the first time in the American history when an insider conspiracy was discerned using wire taps. Rajaratnam made a mistake conducting secret negotiations over a stationary phone. Previous Previous post: Afghanistan – One thousand USD at second ! Next Next post: Climate at Coups.